Our Targeted Evaluation and Feedback program for weak agents results in 40% fewer Call Defects and a 40-point improvement in NPS. Our experienced team takes on the toughest challenges by reverse engineering the best solutions based on needs. When government agency call volume spiked 700% we created a solution that added 1,500 fully trained agents under budget in only 30 days! 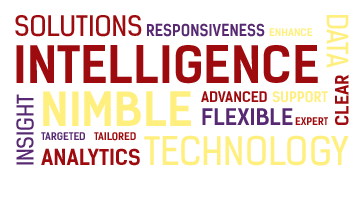 The Business Intelligence Firm To The Fortune 100. Zero Variance is the premier provider of customizable business solutions that help you run a smarter, more agile, and efficient organization. We drive business initiatives and success by generating meaningful feedback by thoroughly analyzing voice, email, chat, and social media channels.